New Website Launch Offer: 20% OFF EVERYTHING! Shop Now! New to Blank Canvas? Join our exclusive squad to be the first to hear all the latest news and offers! The Brush Folio is made from a stylish, glossy, faux leather and with 20 compartments that vary in size, this folio is the ultimate brush holder! 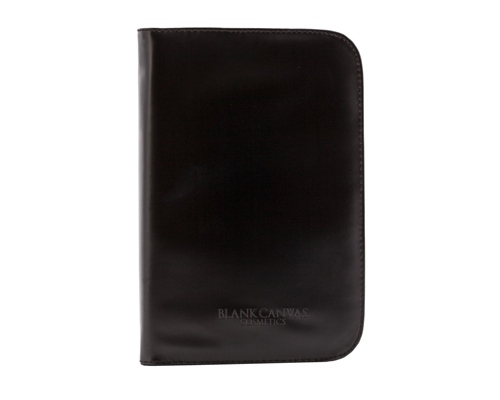 The Brush Folio is made from plush faux leather. The Brush Folio is made from faux leather. It can be easily transported and is ideal for when you are on the go/travelling.